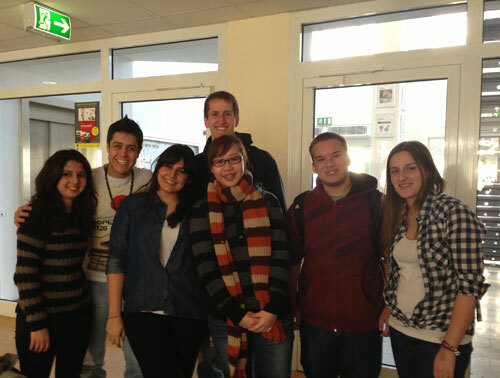 Sara (with scarf) with friends from Germany and other nations at Business and Information Technology School, Germany. “It was a dream come true for me to be in Germany, home to countless influential philosophers, music composers, scientists, and inventors. At BiTS, I had the opportunity to enroll in a few subjects which were related to my major, Public Relations, which were not offered back home such as Social & Cultural Events and Exhibition Events & Marketing. With SAP, I did not have to pay additional fees to take the subjects and only paid what I would normally pay at INTI,” said Sara. Since 2008, INTI students have studied in France, Germany and China under SAP. The enabler is INTI’s unique position within Laureate International Universities’ global network of universities. The option to spend a semester abroad at other universities in the Laureate network of more than 75 accredited universities and 130 campuses is an experience unique to INTI’s students. Such an immersive foreign experience gives one a head start upon entry into the working world. For Sara, the language barrier and weather were the biggest challenges she faced in Germany. She learnt that apart from students and younger people, many Germans did not communicate in English and this complicated matters when she required help with directions. The weather was also cold and quite unpredictable. Nevertheless, she found her semester in Germany a valuable experience. “SAP has transformed my life. I’ve met people from all around the world in Germany and understanding that each culture is unique. Learning to accept the differences in each culture allows me to have a wider perspective, and helps me become more independent and open minded,” said Sara. With INTI’s innovation-driven, global-oriented and career-focused approach to education, students also experience new cultures and meet global peers through faculty study tours to countries such as Thailand, China and Australia and intercultural discussions with students of different nationalities via live video conferences. International case studies are part of the curriculum, with a minimum of one case study per course per semester. International exposure is a vital component of the courses offered by INTI to make the world an open classroom for students. For more information on opportunities for international exposure with INTI, please call 06-7982000 / 03-5623 2800 / 03-2052 2888 / 04-631 0138.